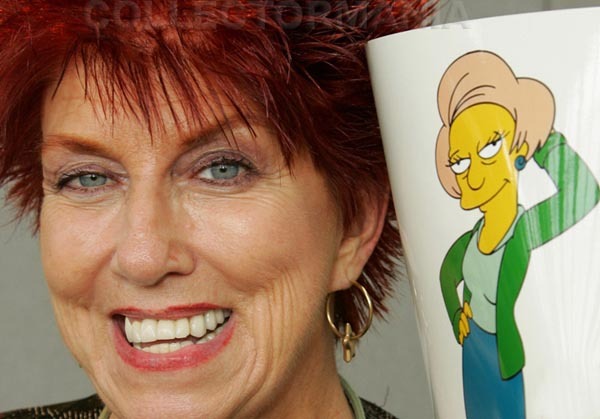 Marcia Wallace, known best to multiple generations as the voice of Edna Krabappel, has died at the age of 70 due to complications from breast cancer. First coming to prominence on The Bob Newhart Show, as receptionist Carol Kester, she would become a standard panelist on the celebrity-based game shows of the era (I'll remember her best from her appearances on Match Game). She first appeared in the second ever episode of The Simpsons, voicing her one and only character, Mrs. Krabappel, a role she would win an Emmy for, for 1992's superb episode Bart the Lover. As has been the tradition, the character will be retired from the show, leaving a monstrous hole in fabric of Springfield. First diagnosed with breast cancer in 1985, she had spent the last 28 years as an outspoken advocate for early detection. As is common, the disease recurred, with Wallace combating the illness for some time before her death.